As one of the reputed hotels based in Jaipur, Rajasthan, at Mahal Rajwada Resort, we are offering reliable and prompt services to assist the clients in easily availing Travel Insurance. It is very important to avail Travel Insurance these days to ensure the luggage along with other items such as important documents, electronic items, etc. are well covered in case they get stolen or are lost. 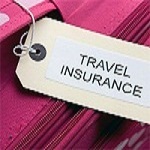 With the Travel Insurance the clients can have the peace of mind and enjoy the trip or vacation fully.